This is an error that occurs mostly as the result of an unclean shutdown either because the host or guest didn’t have the time to properly stop operations. Fortunately this error can be solved with a few easy to follow steps. 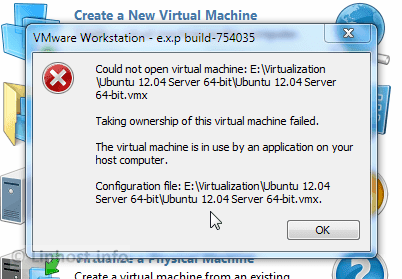 This is the type of error you will be presented with every time you try to start the virtual machine. 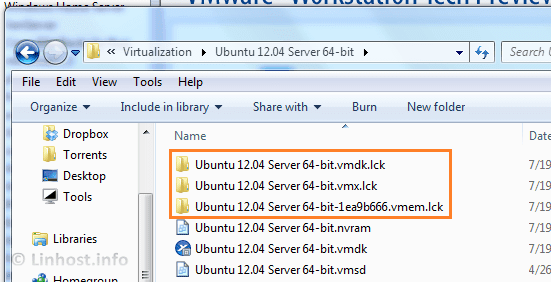 Take note of the virtual machine path, you will need to navigate to where the virtual machine is located. Click on OK to dismiss. In my case all virtual machines are stored in E:Virtualization(yours will be different). 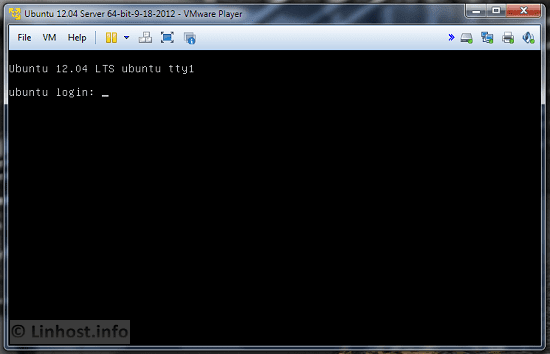 The VM I am looking for is Ubuntu 12.04 Server 64-bit. You can move all files with the extension .lck to another directory that isn’t the same as the current one. Or you can do what I do and erase all .lck files. Only erase those ending with .lck. Now go back and try to start the virtual machine. This time the VM should start like usual. OK, but what is the root cause?